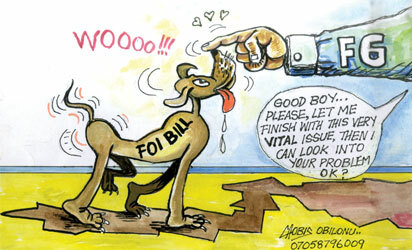 The Ministry of Foreign Affairs today became the latest entrant into the Freedom of Information (FOI) “Hall of Shame” as it was adjudged to have consistently breached most of its duties and obligations under the FOI Act over the last seven years. Ministry has also been saddled with the responsibility of increasing international awareness about Nigeria’s economic potential. According to her, from the records available from the Office of the Attorney-General of the Federation, since the FOI Act was enacted in 2011, the Ministry has only submitted its annual report on its implementation of the FOI Act to the Attorney-General of the Federation once – in 2013, when it should have submitted a total of seven such reports as at February 1, 2018. She said there was no record of the Ministry having submitted any report for any other year.